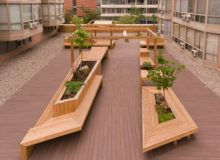 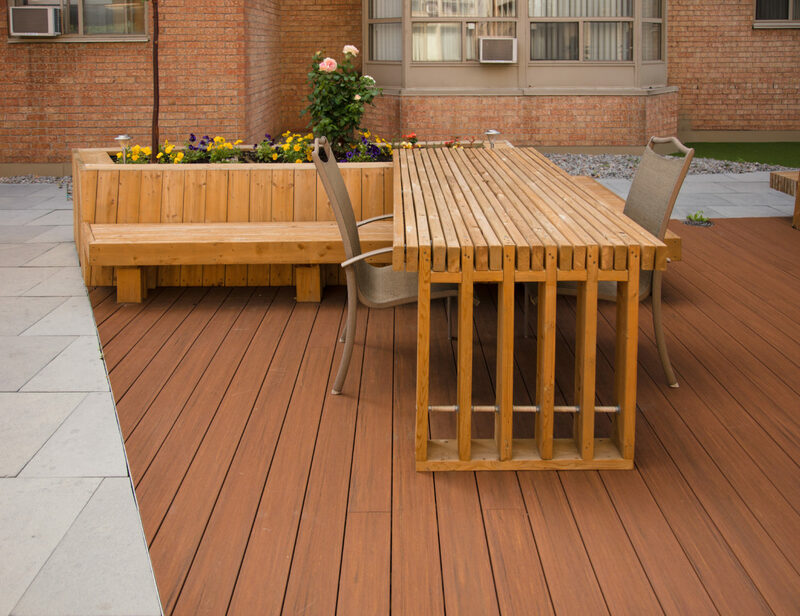 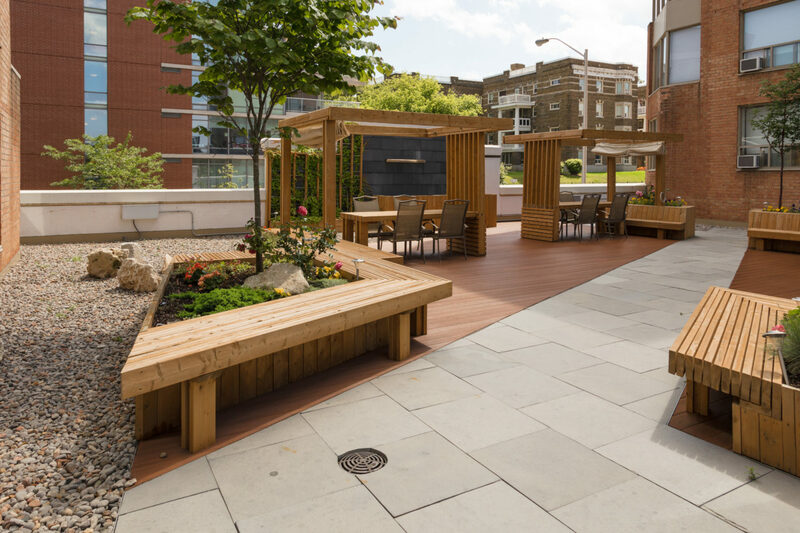 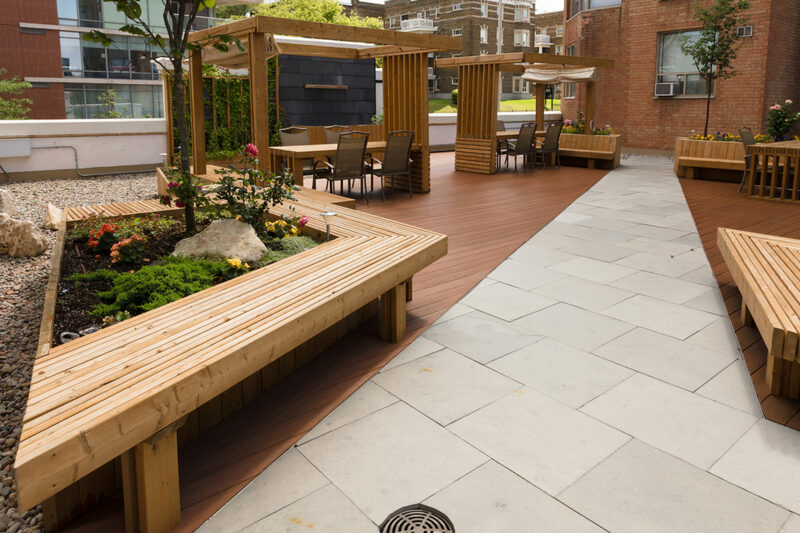 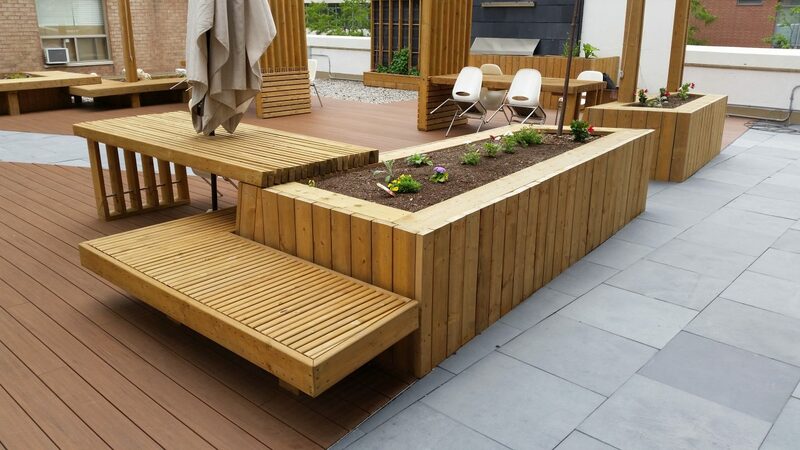 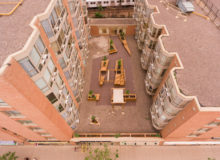 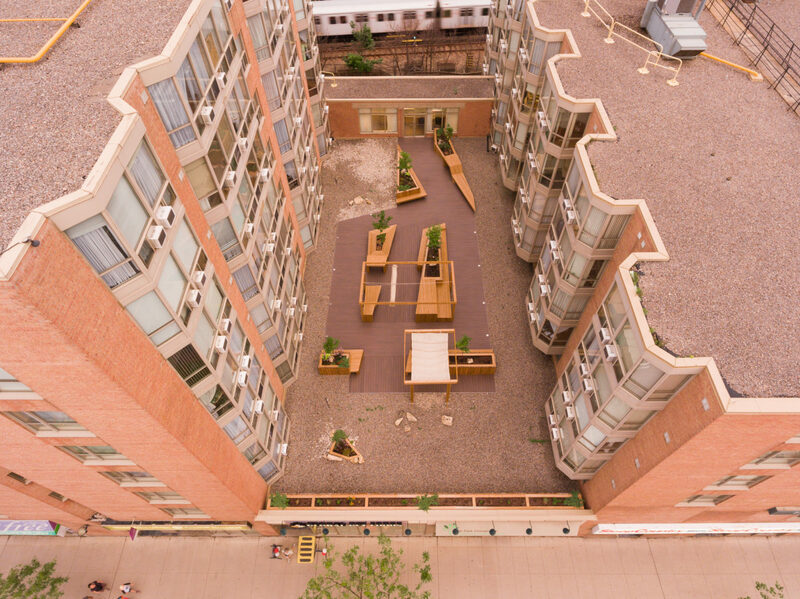 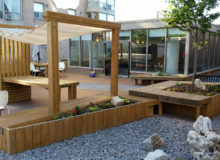 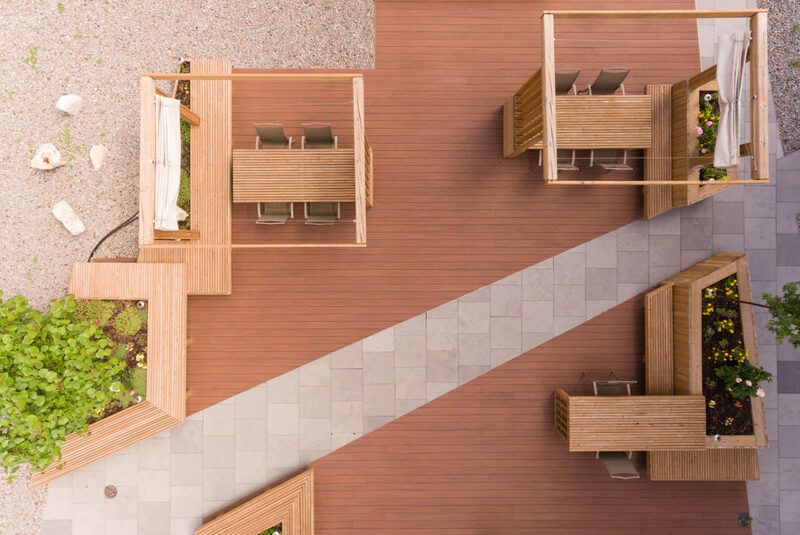 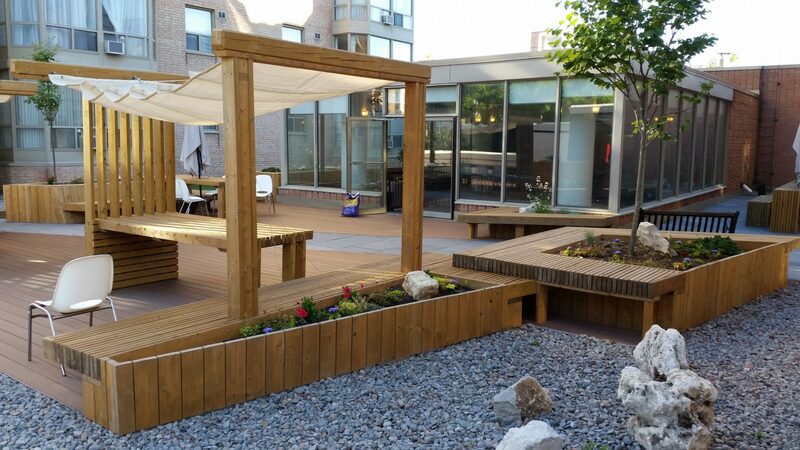 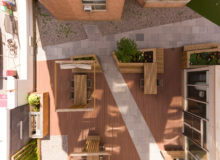 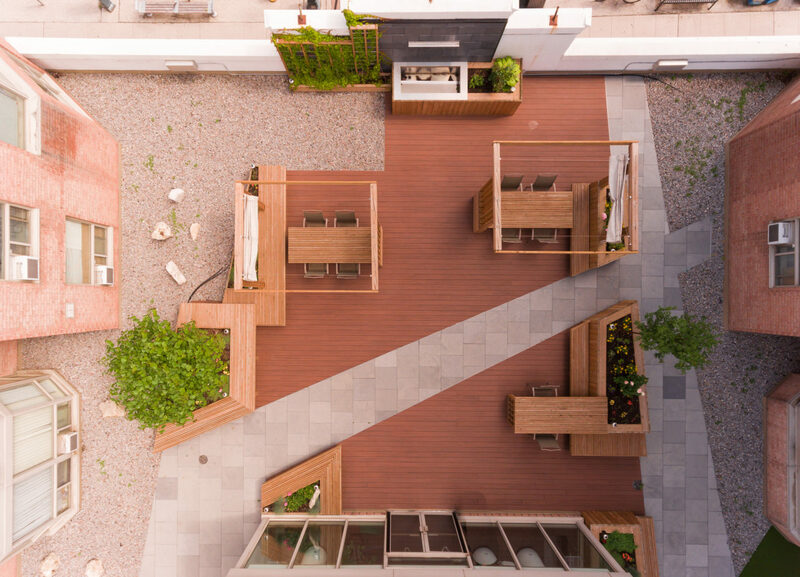 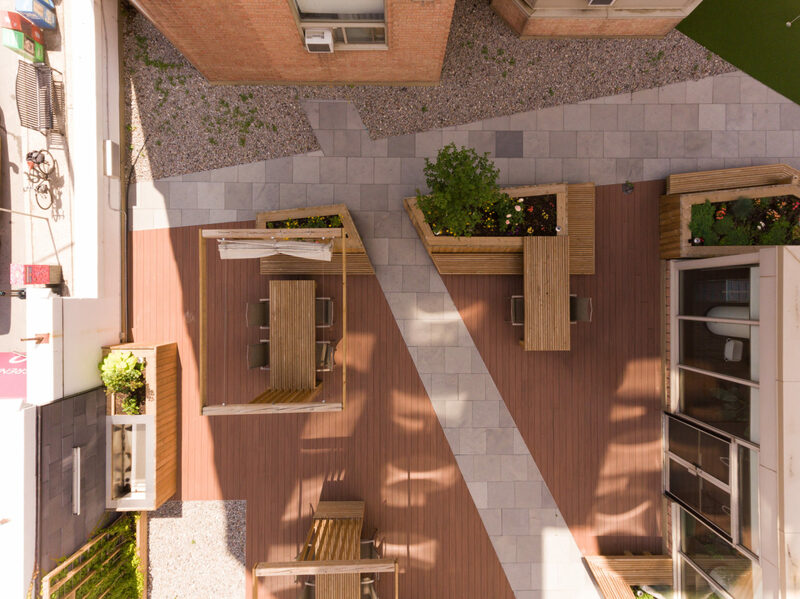 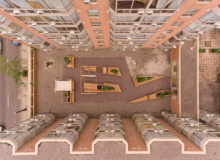 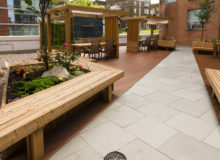 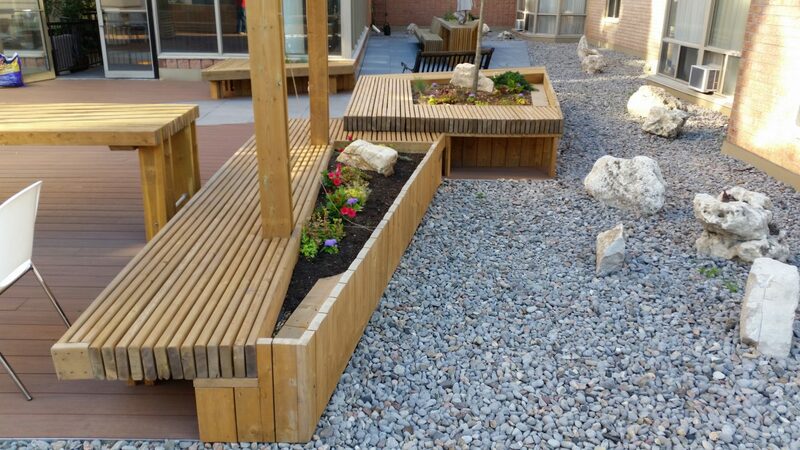 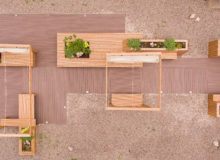 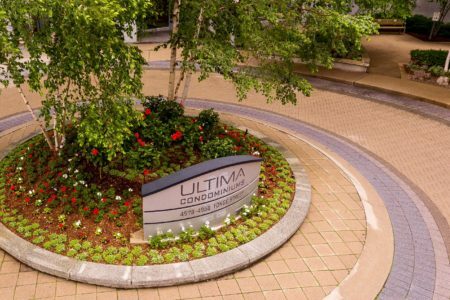 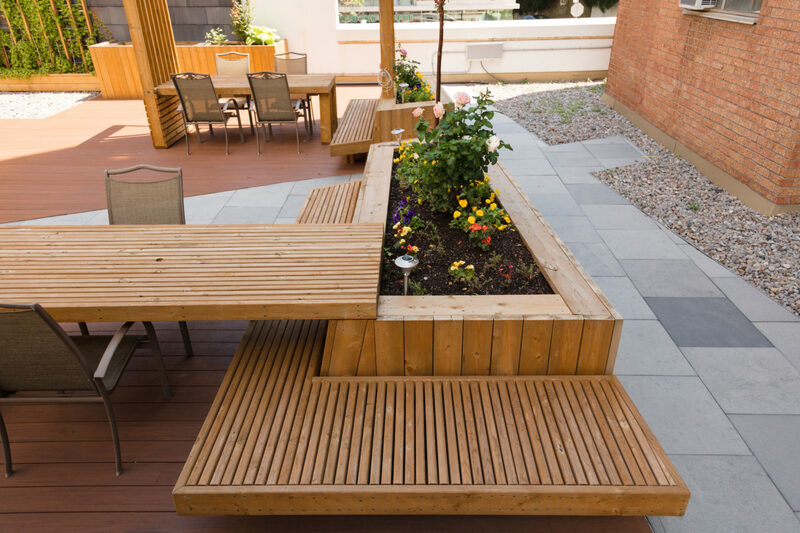 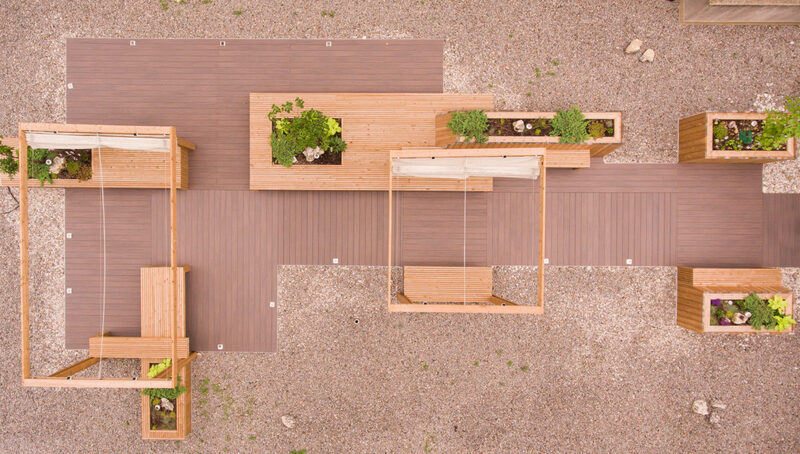 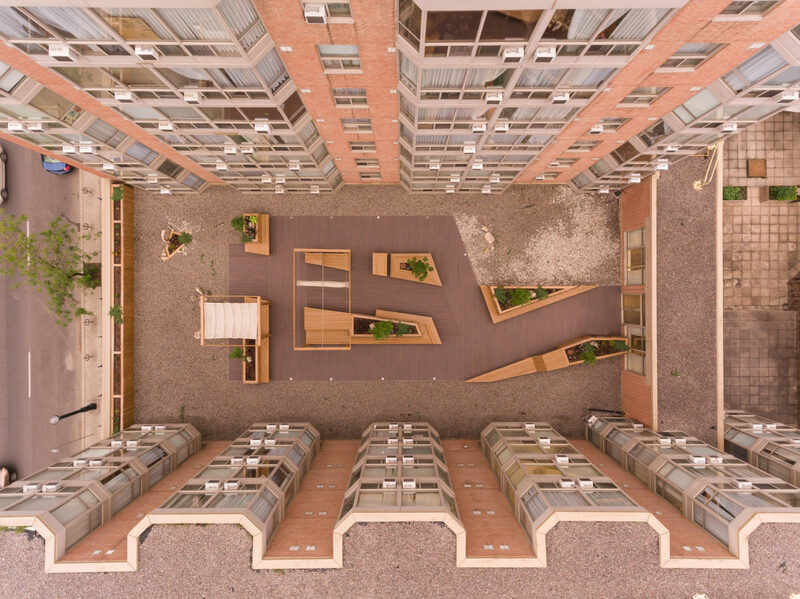 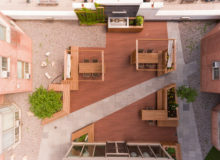 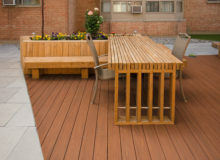 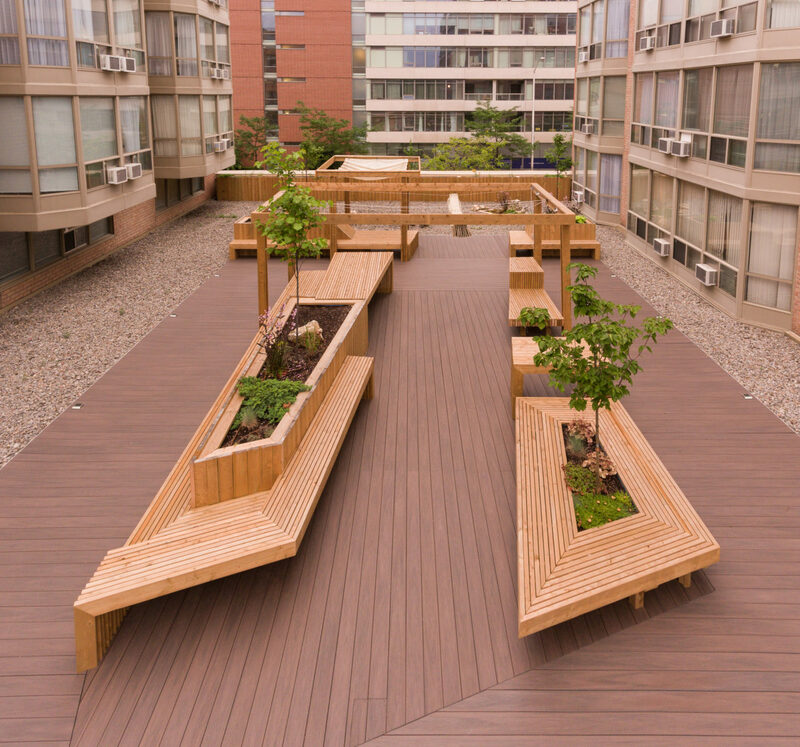 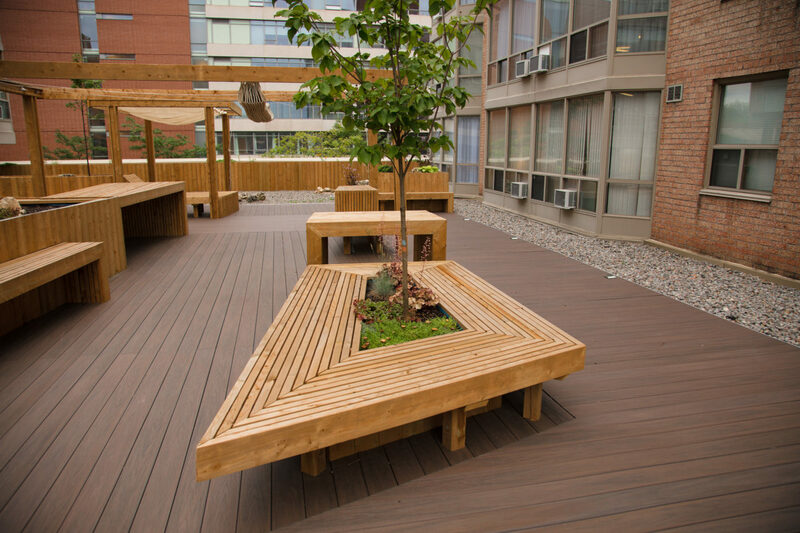 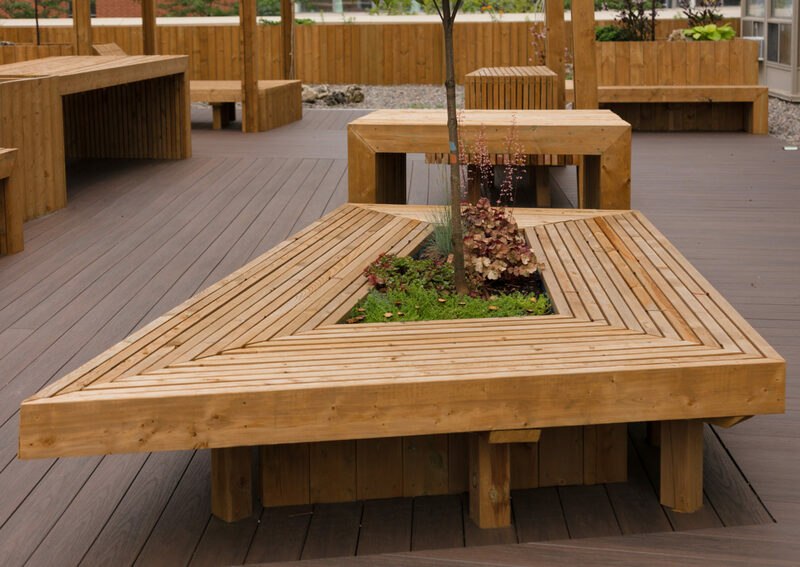 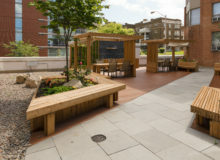 This Toronto rooftop garden provides ample benches, extensive garden beds, decks, arbors, space for socializing as well as space for peaceful rest and relaxation. 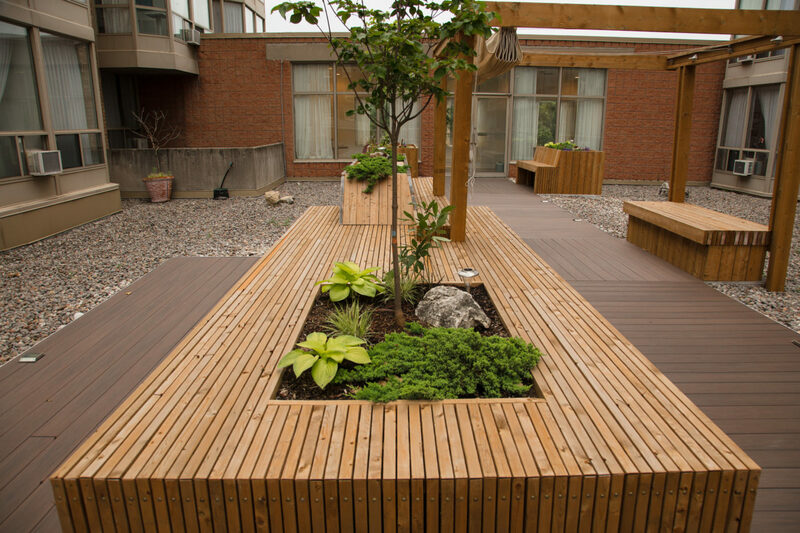 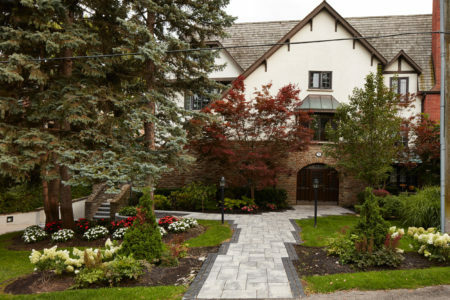 The Toronto firm, G Bruce Stratton Architects designed this wood and plant oasis for a senior’s residence. 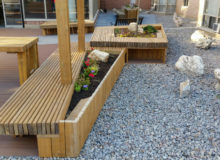 Landcare built and installed it to the client’s tremendous satisfaction. 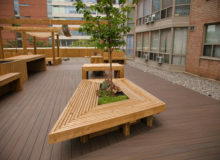 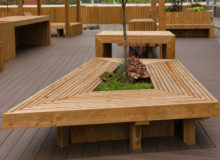 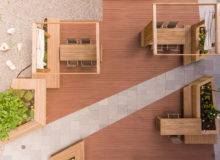 The space includes interlocking pathways and shaded spots with trees and canvas covered arbors. 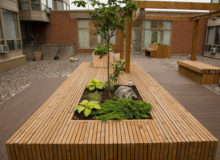 A water feature offers peaceful sounds to complete the calm inviting landscape. 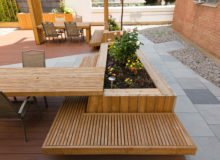 Don’t let the scale prevent your from considering it for your backyard ideas.